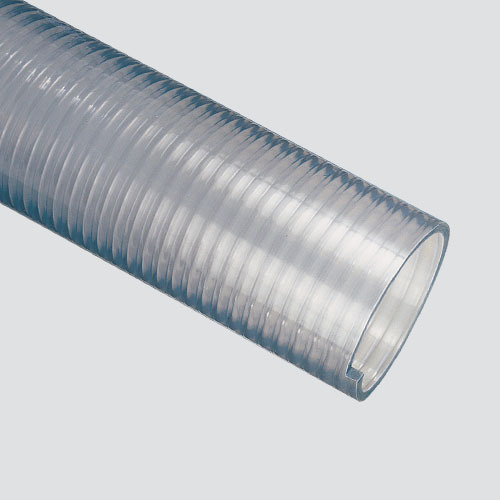 The heavy-duty, clear PVC food hose is constructed of an extruded PVC tube and cover with a rigid polypropylene helix. Its clear wall allows visibility of product flow, and works well in milk handling or other food processing applications. This hose is 3A Dairy and FDA compliant, and is acceptable in USDA inspection environments.